This world class Botswana Honeymoon package incorporates some of the best there is to see on Safari in Botswana. Begin your Honeymoon on the banks of the Moteti River at Leroo La Tau Lodge, a view of endless grasslands and bordering the Makgadikgadi Pans National Park. This National Park is home to a wide diversity of wildlife, including Gemsbok and Zebra – with fantastic game viewing on your daily game drives. Just a flight away will take you to Camp Moremi, peering out from beneath giant Ebony Trees. This area is well-known for it’s sightings of Leopard, Cheetah and Wild Dog as well as other mammals, and Game Drives will continue to be an exciting moment each day. Sip cocktails on the viewing deck with exceptional views of the Xakanaxa Lagoon or explore the waterways by motorboat – a delight for bird watching enthusiasts. Say farewell to the Okavango Delta as you spend your last couple of days in the Chobe National Park, at Chobe Game Lodge, the only Game lodge situated in the park itself. Chobe National Park is famous for it’s large herds of Elephants, hosting the largest surviving elephant populations in the world, currently estimated to exceed 120,000. Game Drives to view these gentle giants combined with boat trips along the Chobe River will ensure that this will be a Honeymoon etched in your memory forever. A portion of the costs of this package will be donated to Botswana’s Rhino Relocation and Reintroduction Project. Arrival at Maun Airport and met by our representative who will whisk you away for the first part of your Honeymoon adventure. A road transfer will take you Leroo La Tau, on the banks of the Moteti River, where you will be spending two nights. Late afternoon brings excitement as you being your late afternoon Game game drive in open safari vehicles in search of the Big Five – returning to your lodge for a sumptuous dinner. The next day brings an early morning Game Drive and yet another afternoon drive – as you keep the look out Rhino and wild dog or perhaps if you are feeling energetic, enjoy a guided nature walk in the area surrounding the lodge. Depending on the water levels, you can also enjoy boat activities offer on the Boteti River. With just 12 Thatched Chalets and expansive wooden decks – this is the ultimate in safari! Overnight: Leroo La Tau – Fully inclusive of all meals & game activities. After an early morning game activity and hearty breakfast, depart on a flight transfer to the next stage of your adventure. Spend two nights at Camp Moremi in the wonderous region of Botswana. At the point where the Okavango Delta meets the vast plains of the Kalahari Desert – we find a sanctuary of Mopane Forests, open grasslands, seasonal floodplains and riverine habitats making this one of the richest and most magnificent animal habitats in Africa. Two days of incredible game viewing in open 4 x 4 vehicles await you with frequent sightings of Lion, Leopard, Cheetah and Wild Dogs, or explore the water channels by motorboat – spotting the wide array of bird species and water life in this unique area. A true sense of the African wilderness combined with a sense of adventure at Camp Moremi takes you just half way through your African Honeymoon. Overnight: Camp Moremi – Fully inclusive of all meals and game activities. We bid farewell to Camp Moremi as a light aircraft takes us to the home of the Gentle Giant – the African Elephant. Chobe National Park has one of the highest concentration of Elephant Herds in Africa – currently exceeding 120 000! Overlooking the Caprivi Plains and the Chobe River, Chobe Game Lodge is the only permanent Game Lodge situated in the Chobe National Park itself. 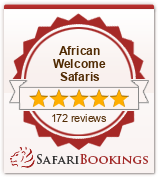 All safari activities are tailored to suit individual requirements. Game drives, game viewing by small boats with a maximum capacity of twelve guests, sunset cruises along the Chobe River and after-dinner stargazing are offered. During the dry season, vast herds of buffalo and Elephant come to drink, play and bathe along the banks of the Chobe River, affording you spectacular views during your sunset cruises. Giving you a choice of both land and water-based activities, Chobe Game Lodge provides you with the most complete game experience whilst on Honeymoon. Sip cocktails as you quietly cruise down the Chobe River on the double-deck river cruiser – the Mosi-oa-Tunya. Overnight: Chobe Game Lodge – Fully inclusive of all meals and game activities. After your last breakfast overlooking the Chobe River, depart on a light aircraft transfer to Maun Airport, in time for your onward flight back to Johannesburg. You will depart Botswana with the beat of the African Bush firmly imprinted on your heart and soul – you will be back again one day!